Kale is a favorite for crunchy Caesar salads. Although kale and romaine lettuce are unrelated, both are leafy, low-calorie vegetables packed with flavor and nutrition. A cruciferous vegetable with a flavor similar to its cabbage cousin, kale adds color and flavor to salads and is a suitable substitute in recipes that call for spinach. 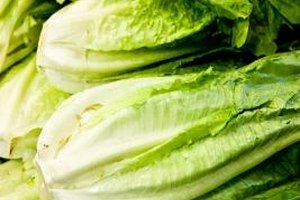 A crisp, succulent, lettuce with bright green inner leaves and darker outer leaves, romaine lettuce is used primarily in mixed green salads. Both vegetables are available in supermarkets year-round. Storage of the two vegetables is nearly identical. Remove any twist ties and rubber bands, and then sort through the kale and your head of romaine lettuce to remove brown, wilted outer leaves. Don't wash the vegetables, because wetting the leaves shortens the storage time. Pat the leaves with paper towels until they are dry. Place the kale or your head of romaine lettuce in plastic bags, and then close the bags tightly. You can also wrap the vegetables in damp paper towels before placing them in the plastic bags. Store kale and romaine lettuce in the vegetable or crisper drawer of your refrigerator. Romaine lettuce keeps up to 10 days. Use the kale within two to five days, because the vegetable becomes limp and bitter with longer storage. 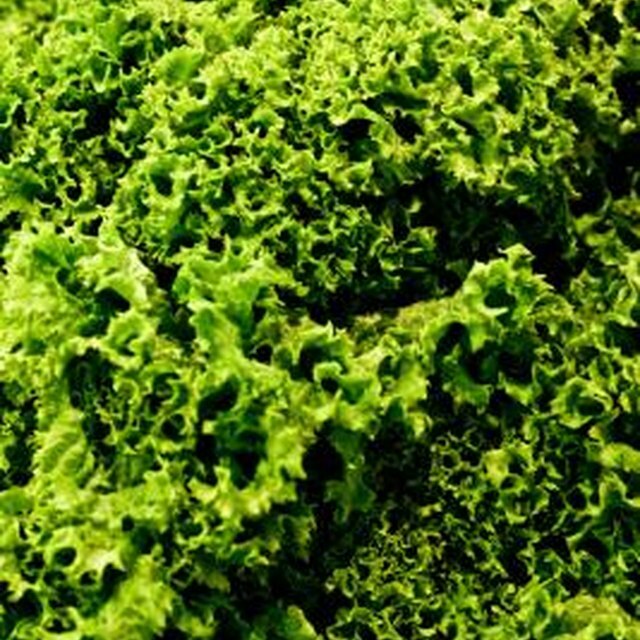 Wash the kale and romaine lettuce just before you're ready to use them. Drain the vegetables completely or pat them dry with paper towels. You can also wash and dry the leaves with a salad spinner. Kale and romaine lettuce keep longer when the vegetables aren't crowded in the crisper drawer. Don't store kale or romaine lettuce in the same crisper drawer as fruit; fruit gives off ethylene that can spoil vegetables and shorten the storage time. How Can I Keep Celery From Going Bad So Fast?